Mike grew up in Blenheim and Mark grew up in Chatham, but was born in Leeds England. Note from their official facebook group: okay, get “BREAKFAST” out of your head……here’s the real story: Mike and Mark created this unique duo in 2003, as a second band to their trio, THIS END UP. What started as a little idea grew into a popular and in-demand musical act. They do over 200 shows a year these days, and no sign of letting up, with engagements in southern Ontario, Ohio, and even the occasional show in Nassau Bahamas! 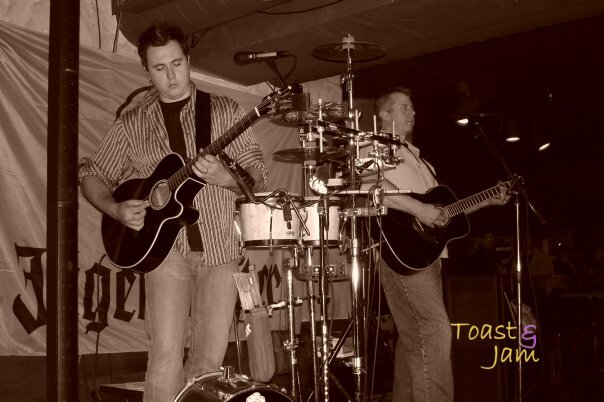 With some great vocal harmonies, an acoustic guitar (and sometimes two) and a unique percussion ensemble that has since been copied by many others, these guys play a very big repertoire of music, with pop, rock, folk and country from the 1950’s to today. 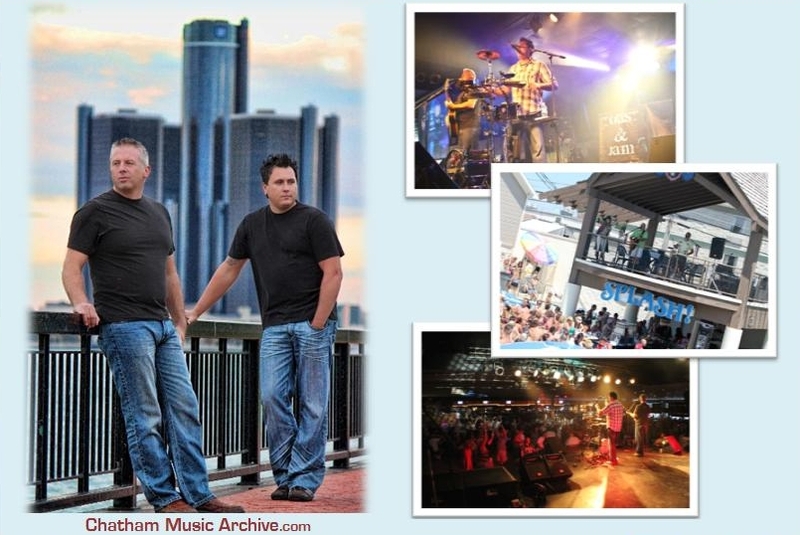 In 2010, the duo took their cover band act to many places including Windsor, Port Stanley, Rondeau, Tobermory, Pelee Island, Kelley’s Island, Ohio, Lasalle, Chatham, Illinois, Nebraska, and much more. Contact their website to hire them for your event.